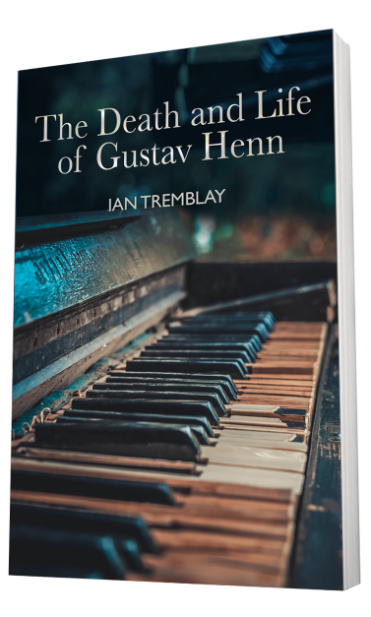 The Death and Life of Gustav Henn is a contemporary romance and a tale of sorrow and loneliness and about the complexity of aging, the importance of family and of taking care of those we love. In his diary Gustav Henn recounts his entire life story and once Michael Brenner starts to read it, he cannot put it down. He is fascinated by what he learns about his family and his life filled with excitement, romance and drama, as well as the wild whirlwind of the classical musical world that Gustav Henn seems to have been thrown into at a very young age. The descriptions of the people, the concert halls, the cities, the five star hotels, the receptions, his romantic love story with Claire de Petit, a French ballerina and the endless attention showered upon him as a world renowned classical pianist, opens up to Brenner a vision of a world he had no idea existed, a world of adulation and excesses, and where one lives because and at the mercy of the talent that one has been bequeathed at birth. Unfortunately for Gustav Henn, arthritis took his talent away from him too soon and he had to stop performing and was forced to retire. From that moment on his life began to spiral into a deep, dark hole of loneliness and eventually dementia. The more Michael Brenner reads, the more empathy he feels for the man and he soon begins to draw a parallel with his own impending retirement from the police force and a delicate family situation he is living at home.